At around 14:55 on 23 January, a suicide vehicle borne IED detonation was reported at Riyadh Gate Checkpoint, located east of Hawija in an area along the Kirkuk – Baiji Road. The device was reportedly based on a yellow Hyundai vehicle posing as a taxi. One Federal Police member was killed, and three Federal Police members were wounded according to most reporting. Higher figures from typically credible sources cited two ISF killed and four individuals wounded. 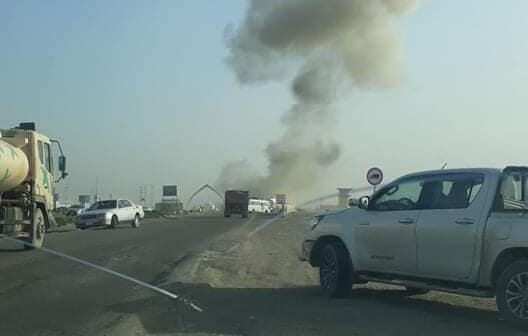 Similar circumstances surrounded the next most recent vehicle borne IED incident in the Northern Region involving a detonation at a key checkpoint on Highway 1 north of Tikrit on 8 January, which killed three ISF members and wounded eight individuals. Although the originally intended target is unclear, current patterns promote the likelihood that the operative in the 23 January incident intended to emplace the device within Kirkuk City or possibly another major population center for a non-suicide attack. For client operations, the 8 January and 23 January incidents serve as additional examples of the enduring potential for inadvertent exposure to vehicle borne IEDs in the vicinity of checkpoints while in transit along major routes. The 23 January detonation significantly forms the first vehicle borne IED detonation in Kirkuk Province since a series of moderately effective attacks concluding with a detonation in Kirkuk City on 13 October 2018. Effective CF-supported security responses were assessed to have played an important role disrupting IS vehicle borne IED attack capability and intent during this distinct three-month long lull. IS will undoubtedly continue to attempt to promote this classic form of mass-casualty attack in different environments of the Northern Region in accordance with established patterns. Security responses ranging from intelligence-driven operations and airstrikes to routine checkpoint operations remain important for mitigating this enduring threat.